As of 12:02 a.m. ET today, the X-Men are officially under the ownership of Disney, giving Marvel Studios the legal go-ahead to integrate the comic book characters into the MCU. 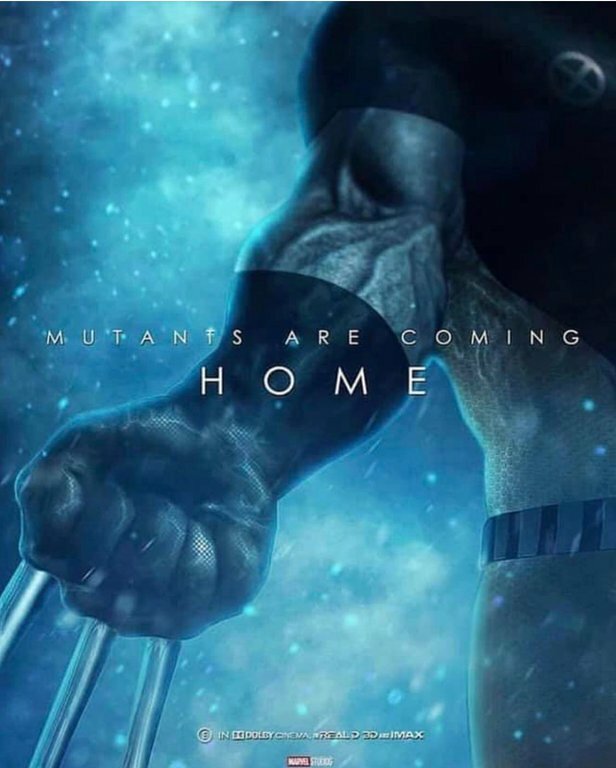 In recognition of this moment, a fan-made poster has emerged that teases the arrival of a certain adamantium-clawed hero, while sporting the tagline, “Mutants Are Coming Home.” No doubt Marvel Studios already has some ideas for how to bring their newly acquired Fox characters into their cinematic universe, though given how busy their schedule is these days, it could still be a few more years before Wolverine and his friends return to the big screen. While Marvel is unlikely to officially announce any X-Men­-related projects at least until their 2019 slate is complete, the Fox character that seems closest to landing another movie is almost certainly Deadpool. According to THR, Ryan Reynolds’ antihero is expected to be the only X-Men universe star who won’t be recast in the wake of the merger. And seeing how Wade Wilson’s series currently has a lot of momentum behind it, Disney may not want to drag its feet with the property, especially when Rhett Reese, Paul Wernick and Ryan Reynolds are already at work on Deadpool 3. As for Wolverine, whoever Disney casts to fill Hugh Jackman’s shoes will likely face an uphill battle to earn the acceptance of fans, but there’s only so long that the Mouse House can leave a character this big waiting in the wings. Hopefully Marvel Studios can offer an X-Men update in the second half of this year, but in the meantime, Avengers: Endgame is expected to point the way to the MCU’s future when it comes out on April 26th.